Nollywood actress, singer, and philanthropist, Tonto Dikeh and her close friends, Dabota Lawson, Bobrisky, Toyin Aimakhu and Halima Abubakar made the head recently as they were headed to church this morning in Abuja. They took a ride in a stretch hummer. Tonto flew her friends to Abuja for her 33rd birthday celebrations. However, that was not the end of it. 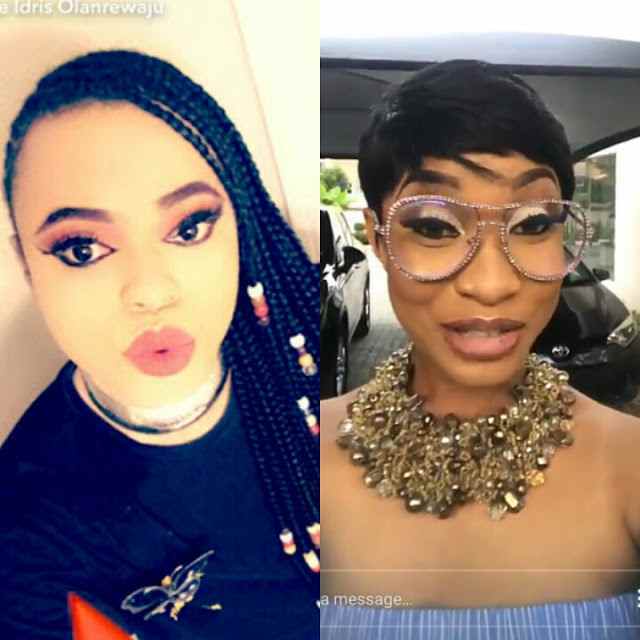 A new picture has revealed that Tonto Dikeh and Bobrisky passionately locked lips during that period.